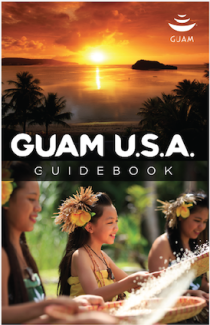 Thank you for your interest in our Visitor Guide - the Guam Guidebook. This guide includes everything you need to know about our island in one easy-to-read format. From our rich Chamorro culture to our heritage, food, and even historical landmarks that make our island unique, you will find everything you need to explore our tropical paradise in these pages. For your convenience, a downloadable version (PDF) is available. Please fill out the form below, and a link will be provided for you to download the Guam Guidebook! Inspire me with updates and event info via email! Please select if you would like to receive updates via email.